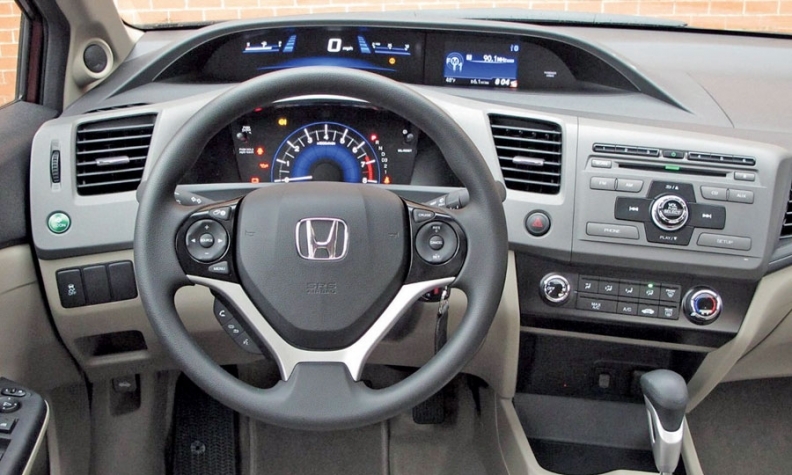 Critics slammed the 2012 Civic's instrument panel for its shiny surfaces and for having a cluttered layout with many seams between components. • In 2012, it was the best-selling compact car in the U.S.
• In 2010, Honda sold more Civics in the United States than total vehicles sold by Mazda or the VW brand. • 58% of previous-generation Civic buyers traded in a non-Honda. • 57% of previous-generation Civic owners bought another Honda. LOS ANGELES -- Jay Guzowski was getting more nervous by the day. As senior product planner for the redesign of the 2012 Honda Civic, Guzowski was shepherding the compact car from design freeze to market. But as he listened to others around the American Honda conference table -- with a year to go before the car's on-sale date -- he heard a disturbing refrain: The upcoming Civic was not good enough. He had heard it before, but now there was a drumbeat from corporate managers, r&d engineers and dealers. In 2009, Honda had witnessed the wreckage of the global economy after the Lehman Brothers collapse. The Civic's development had almost reached design freeze when Honda executives decided the car would seem too upscale for an entry-level offering. The content level needed to be reduced to reflect cautious consumer tastes. Honda Motor Co. CEO Takanobu Ito's decision to take content out of the 2012 Civic would delay the car's launch by nearly six months, from late 2010 to early 2011. In the interim, though, industry scuttlebutt was that the competing Hyundai Elantra, Chevrolet Cruze and Ford Focus redesigns weren't cutting back on equipment and content just because consumer confidence had taken a hit. The photos, renderings and prototypes confirmed just that. The new Civic looked cheap by comparison. The interior materials and fabrics chosen may have cut costs but were clearly inferior. The layout of the instrument panel and center cluster was cluttered and jumbled, with too many cut lines and low-grade plastics. Changes to the exterior styling were barely discernible from the outgoing model. "The feedback we heard was loud and clear," Guzowski said. "I was taking the temperature and making sure it wasn't a one-off we were hearing." Guzowski looked at his calendar -- April 2010. Then 33 years old, he had been at Honda only a few years, after stints at Volvo Cars of North America and American Suzuki's ad agency, Colby & Partners. Guzowski, a former instructor at Art Center College of Design and analyst with Honda R&D Americas, understood when Honda stylists and engineers described their worries about the car. His next task was to steel himself to inform his bosses far up the executive ladder that their franchise car didn't measure up. It was too late to save the 2012 Civic. All Honda could do was limit the damage. 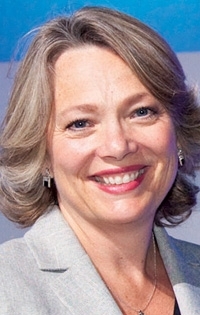 "We read the market wrong," admitted Vicki Poponi, American Honda assistant vice president of product planning and a former executive at Honeywell's Garrett turbocharging division. "After the Lehman shock, we thought there would be different consumer behaviors. We knew that unemployment would last a long time and that there would be recessional trends. We thought consumers would be more sparse in their needs and be tightening their belts. The Civic was going to reflect that world," Poponi said. But after internal study teams expressed concern that the 2012 Civic was underwhelming, Honda executives faced a big decision. Honda could let the Civic run for the traditional three model years of the five-year cycle before implementing midcycle improvements. Or the company could deem the car's problems so deep-seated that they needed attention sooner. The former would involve heavy incentive spending and hurt the brand's image. The latter would require replacing machinery and tooling before they were amortized and would strain Honda's r&d resources. Making big changes to a car before three model years also waves a red -- or white -- flag to the rest of the industry. But the Civic is Honda's most crucial car. Although the subcompact Fit is beneath it in the lineup and the mid-sized Accord is often a bigger seller, the Civic is the main entry point to the brand. The Civic was key in the trend of modified tuner cars among young buyers in the '90s. The United States represents almost half of Civic worldwide sales. Nearly one in four Americans who buys a Honda buys a Civic. Through mid-2010, a few meetings with top management at American Honda -- including CEO Tetsuo Iwamura and sales boss John Mendel, as well as Honda R&D Americas President Erik Berkman -- showed that Honda couldn't wait. The possibility of damaging the brand was too great. A proposal to quick-change the Civic was sent to Toshihiko Nonaka, head of Honda R&D in Japan, who concurred. "We saw that it wasn't going to be best in class," Poponi said. "We saw that we didn't go far enough. There was no wait-and-see, no gnashing of teeth or debates about what we have to do. Everybody was right on board." Because Honda is a proudly lean organization, blame for the 2012 Civic could be assigned to many people. But after the car was unveiled with a thud, Ito publicly accepted the blame at the Tokyo auto show in November 2011, saying, "The ultimate responsibility rests with me." The intimation was that Ito was ensuring that the 2013 update wouldn't fall short. 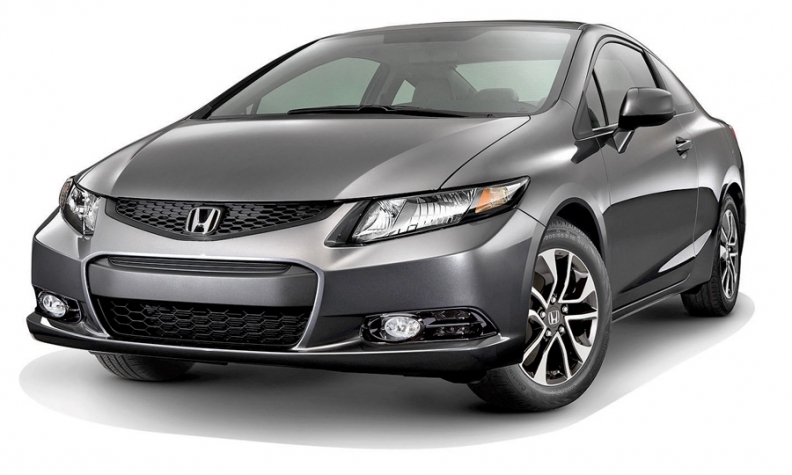 The 2013 Civic has a black-on-black interior fabric choice, a Honda mainstay that had been left out of the 2012 model. Fortunately for Honda, the decision to quick-change the Civic was made as most development team members were putting the final touches on the 2012 model. They had not yet been reassigned to their next projects. With the decision to fast-track the update, the team stayed in place, including chief engineer Mitsuru Horikoshi. "Normally, there are different chiefs for [the redesign] and the minor model change," Poponi said. "But the 2012 Civic development team wasn't fully disbanded, so they just stayed with the process. There was no loss in the cadence." Guzowski said there was "very little downtime getting people up to speed" in making the changes. "Honda is a very flat organization. Everybody is involved all the way through the process," Guzowski said. "Everyone had tangential knowledge of what needed to be done. There were no secrets." Besides, the existing team was playing for pride. "The team didn't want to give up, either. There was a lot of emotion and commitment involved," Poponi said. "If Honda were driven by financials, we wouldn't have done this. We never asked if this was financially right for the company. We knew we had to do what was right for the customer and that the rewards would follow." Meanwhile, Honda's marketers had to sell the existing car. The media introduction in March 2011 may have revealed that the automaker knew of the 2012 Civic's shortcomings. A brief drive through clogged Washington morning-rush traffic led to a parking lot at FedExField, where a short, uninspiring autocross course gave little insight. Honda returned journalists to their hotel via bus rather than having them drive back in Civics. But even the fleeting drives were revealing. Scathing reviews began arriving in the media. In July, Autoweek said the Civic "has lost its way in the world." In August, Consumer Reports removed the Civic from its "recommended" list for the first time in memory, describing it as "cheap" and "insubstantial." In October, a Wall Street Journal review called it "a dud" and "a betrayal." The 2013 Civic Coupe went on sale Dec. 5. Spring 2009: Honda CEO Takanobu Ito orders decontenting of the 2012 Civic, delaying the scheduled fall 2010 launch by 6 months. April 2010: Initial internal reports indicate the final 2012 Civic redesign is inferior, but it's too late to make changes and delay the car again. Summer 2010: Honda execs consider moving up Civic midcycle changes to fall 2012 from spring 2014. Winter 2010: Short-cycling is approved and midcycle change work begins. March 2011: 2012 Civic is unveiled to media; earthquake/tsunami devastate Japan. April 2011: 2012 Civic goes on sale. August 2011: Consumer Reports removes Civic from “recommended” list. Fall 2011: Web traffic for Civic plummets. October 2011: Honda discloses pull-ahead of Civic's midcycle changes. Spring-summer 2012: Civic incentives soar. November 2012: 2013 Civic debuts at Los Angeles Auto Show; sedan goes on sale. But by the time those articles were published, Honda engineers were well into updating the car. Those reviews merely confirmed what the automaker knew. "Our decision to refresh and shift was made way before Consumer Reports," Poponi said. With a nearly clean slate, Honda planners and engineers looked at the needed changes. The deadline: in time for the 2013 model year, or about 18 months from the launch of the 2012 model. "We looked at what were the drivers of the discontent," Poponi said. "Mostly, it was that the instrument panel was too busy and the car overall lacked a premium feel." There were limits to what could be changed. Redesigning too many components or their locations would require new engineering, more crash tests and tens of millions of dollars in modified assembly line tooling. And with the March 2011 earthquake and tsunami crippling Honda's Japanese r&d operations, American Honda and Honda R&D Americas had to pick up much of the development slack. Still, the list of changes was lengthy. The instrument panel layout was redone to remove clutter and reduce the number of irritating seams between components. The instrument panel's rice-paper pattern was replaced with a more traditional embossing. The faux "piano-black" surface surrounding the climate-control buttons was made less shiny and plasticky. The swirl pattern of the seat fabric was changed. A black-on-black interior choice -- a Honda mainstay left out of the 2012 model -- was added. On the outside, the hood and trunk were given sportier designs. More noise-canceling underbody sheeting was added. The quick change provided another side benefit for the Civic. For the 2013 model year, Honda was planning to introduce its Advanced Compatibility Engineering II, or ACE II, body structure for the redesigned Accord. The additional longitudinal braces in the front crash structure would improve the Accord's safety rating in the new frontal offset tests. Normally, such a dramatic structural change would have had to wait for the Civic's midcycle change in the 2015 model year. But because the team was pulling ahead the program, it incorporated the ACE II body structure into the 2013 Civic. "We didn't just plan this car to countermeasure the obvious shortfalls," Poponi said. "We wanted to leapfrog." But just because the product planners and engineers wanted to make changes, that didn't make them so. Updating assembly lines takes weeks, if not months, and the pressure was on. "We asked the people in the factory to redo things they had just done," Poponi said. "Doing this sort of thing comes from the bottom up. Even if leadership wanted to do it, the shop floor could have dragged their feet. They worked their fannies off." Even though Honda knew a fix was on the way by the end of 2012, that didn't eliminate the problem with selling the 2012 Civic for 18 months. "We knew we would hurt residuals with high incentives. And we don't do fleet, so we had fewer tools to manage," Poponi said. Online interest in the car plummeted quickly after launch, according to data from Compete Inc., a market research company. Honda was losing ground to new launches from Hyundai and Ford. Fortunately for the company, American Honda Finance's strong credit rating and opportunities for low borrowing rates allowed the sales arm to promote attractive lease deals to help move the metal. The outgoing 2011 Civic had lower incentives than the compact segment average -- often by several hundred dollars -- until the final months' sell-down when incentives spending spiked. But within months of the 2012 Civic launch, Honda opened the incentives spigot, even as the economy recovered, according to TrueCar.com data. Incentives on the Civic climbed from $901 in September 2011 to $1,988 in February 2012, while average segment incentives rose from $1,102 to $1,367. Through summer, Civic incentives remained around $1,700 per unit, often several hundred dollars above the segment average, according to TrueCar.com. In the last months of 2012 sales, American Honda Finance offered a $1,999-down, $149-a-month lease, although some dealers whacked the down payment to zero. Honda also launched a stair-step volume incentive for dealers to encourage them to clear out inventories. Honda executives were forthcoming in saying the Civic was on a short cycle for its changes while the original 2012 Civic was still on sale. The disclosure was unusual for Honda, which usually refuses to discuss upcoming product for fear of hurting the old model's sell-down. The remaining 2012s would be pitched as solid deals for value-minded shoppers. For all the teeth gnashing in the media about the Civic, dealers loved the car. Despite its shortcomings, it was among the segment leaders in sales once post-tsunami inventories reached normal levels. Through November, the Civic outsold the second-place Toyota Corolla by 18,523 units and the third-place Ford Focus by 61,473 units. "The '12 was a great car. Only the press disliked it. The buyers loved the car and bought it in big numbers. We would have done fine with no change at all," said Dave Conant, CEO of Conant Auto Retail Group in Los Angeles, which includes Norm Reeves Honda, one of Honda's top-volume dealerships. "Could it have been better? Yes, I suppose. Did the press expect more? I guess. But the car was a great car regardless," Conant added. All told, when the 2013 model arrived in November, Honda added more than $500 of content, while raising the price of the sedan LX trim level by $160. Honda does not offer the base DX trim with the 2013 sedan. Sales of the 2013 sedan began Nov. 29, with other models following through Feb. 6. Although Honda heralds the 2013 Civic as a triumph of a lean company moving quickly, Jim Hall, managing director of the 2953 Analytics consultancy, sees a cultural problem that Honda must address. "What's radical about the whole program was that they let the Civic get that bad before they had to fix it in this way," Hall said. "The program should not have gotten far enough along to have been approved in the first place." But Honda already had delayed the 2012 Civic redesign once to reduce the content level. Should the company have delayed it again to get it right, even if it meant carrying the previous version that much longer? Hall says yes. "This was not a cheap fix. They had to pull tooling ahead and they had to scrap tooling that won't have the required number of strikes to amortize it," Hall said. "The interesting thing is that they bit the bullet. But this year's car should have been last year's product." What's more, Hall worries that Honda may be celebrating a near-miss, when it should be looking deeper at what allowed the 2012 Civic to happen at all. "It wasn't a bad product, but it wasn't good enough to be a Honda. They approved it willingly," Hall said. "They have to fix their processes or else this becomes the norm." Meanwhile, Honda may not be done with the Civic. With four model years remaining in the Civic's life, more changes could be down the road. "Our intent is to keep Civic the best vehicle in the segment," Poponi said. "We won't sit on our laurels. We'll react. We can't say, 'This is it.'"